One of the most exciting things about infographics now is the various ways you can put them to work. While the long-form static versions still do their job, you can also experiment in other ways. We thought it would be useful just to outline a few. Example: Our Marathon Map trailer is a 20 second snap shot of a new product launch for MapMyMarathon. Inspiration. Motivation. Achievement were key in our brief. 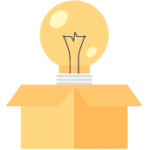 Visual assets for your blog…like animated gifs? If you haven’t experimented with this tactic before, learn more about the benefits of divisible content here. 3) Visualise your proprietary data: Your customer surveys or internal data or processes can easily be turned into interesting infographics. 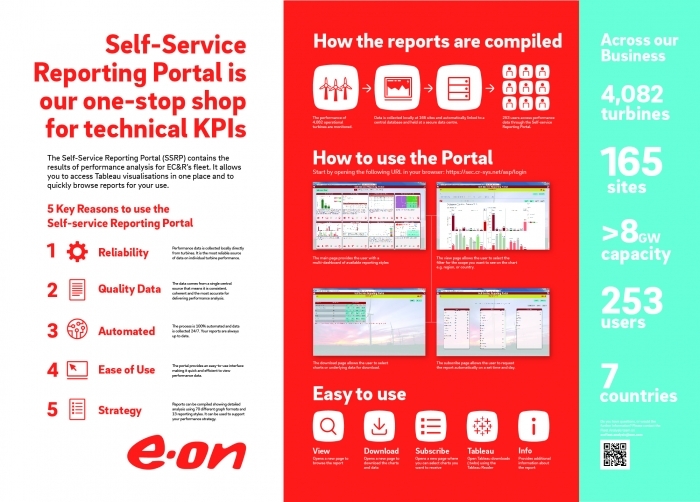 We recently created this infoposter / infographic for e.on that raises awareness to their internal processes for accessing turbine data for performance management. It is proudly pinned in their many sites across Europe. 4) Turn your designs into a series: Instead of cramming your information into one long piece, split them up to tell a longer, more complex narrative, or series of narratives. This allows you to tell a longer story, approach a subject from different angles, and generate more content. We are in the process of creating a series of motion graphics that introduce subjects within the umbrella of ‘Industrial Internet of Things’ and it’s really interesting stuff. Never miss an update with our newsletters direct to your inbox. We are ready and waiting to talk about your tailored infographic. infographica is a creative design agency, specialising in infographic design. Follow us on Facebook and / or Instagram to find out what projects we are live with right now.